Experience one of the world’s top 50 hiking and wilderness trails! The 180 kilometre Sunshine Coast Trail in British Columbia, Canada is an amazing back country adventure that stretches from Sarah Point located in Desolation Sound all the way to Saltery Bay. Founded by a small group of Powell River locals working with the Powell River Parks and Wilderness Society in 1992, this amazing system of trails links through a wide variety of landscapes including coastal shorelines, quaint creeks, beautiful lakes, old growth forest and up to some of the most amazing scenic mountaintops in Canada. This epic trail also boasts a series of 14 huts that give hikers the opportunity to rest while experiencing Canada’s great outdoors at it’s finest. The best part is that thanks to the Powell River Wilderness Society, it’s free by donation. 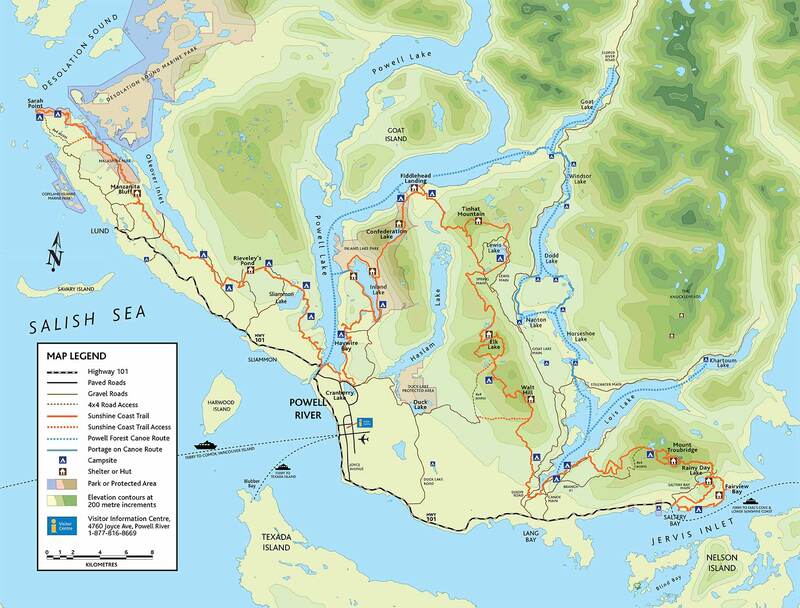 Thinking about hiking the Sunshine Coast Trail? Get your Sunshine Coast Hiking Passport that includes a hut to hut guide to hiking the trails. Help maintain and expand this amazing series of coastal trails by getting your PAWS membership today! The Sunshine Coast in British Columbia offers outdoor enthusiasts access to some of the most beautiful and amazing views on the planet. 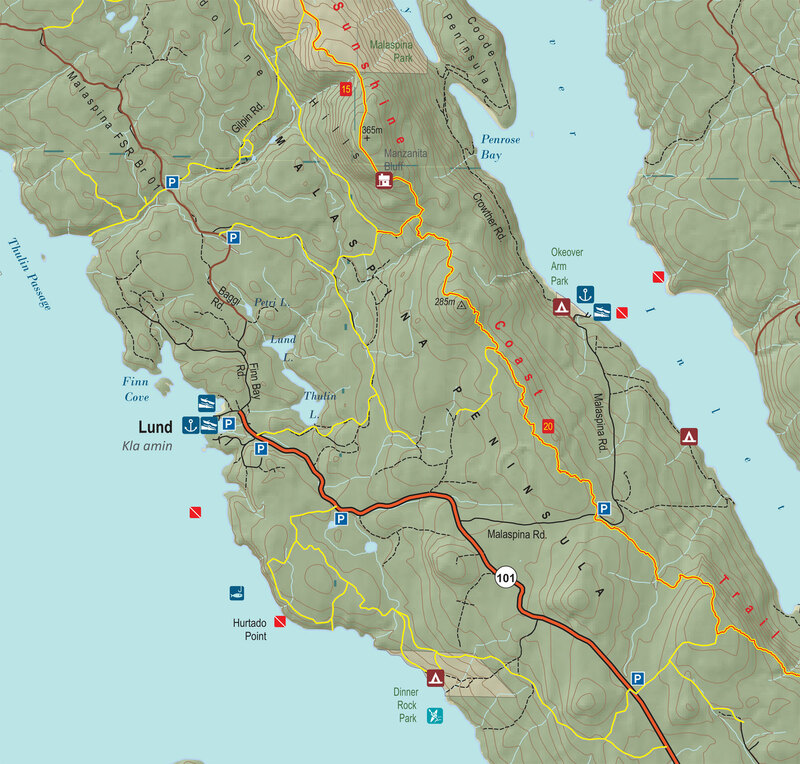 From Sechelt to Earls Cove, we take locals and visitors to the area to some of the most remote points in the region. 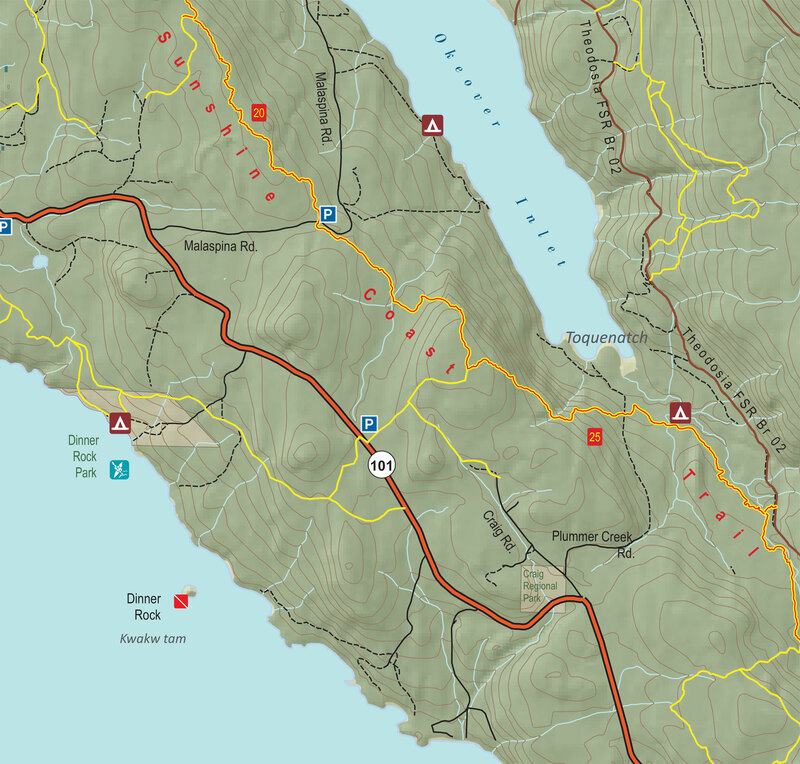 Here is a collection of maps that includes all of the Sunshine Coast Trails along with some of the really cool spots we think everyone should check out.